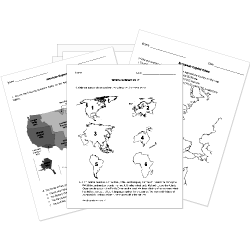 Which statement correctly compares the potential energy of the balls? 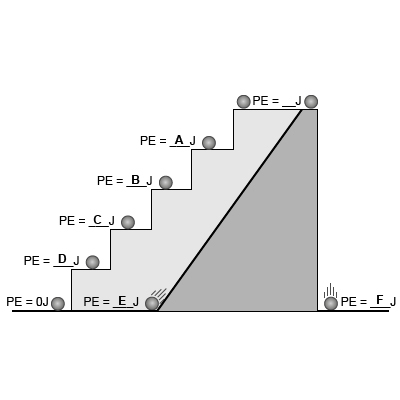 C has more potential energy than B.
E has more potential energy than F.
D has less potential energy than E.
B has less potential energy than A. The gravitational force between 1 kg of lead and Earth is the gravitational force between 1 kg of marshmallows and Earth. The lead and the marshmallows are both located on Earth's surface. 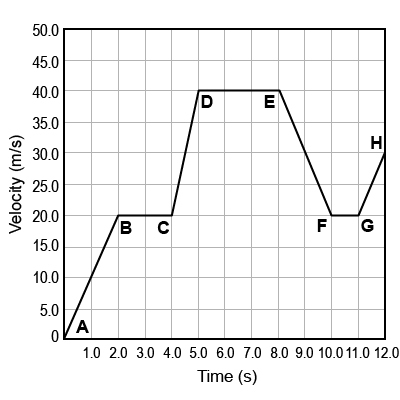 Which of the following is an example of kinetic energy? no north or south poles. 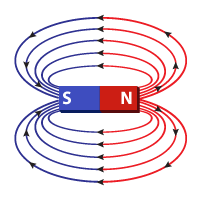 The diagram shows the magnetic field lines for a bar magnet. 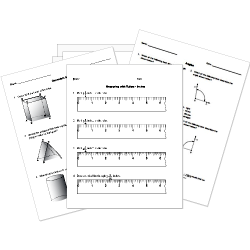 Which statement best describes the strength of the magnetic field for the bar magnet? The magnetic field is strongest at north pole of the magnet. The magnetic field is strongest at the south pole of the magnet. The magnetic field is strongest at both the north and south poles. The magnetic field is strongest in the region between the north and south poles. Which of the following best describes the circuit diagram? 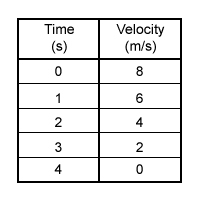 Which best describes the motion of the object recorded in data table? It maintains a constant speed. Which set of waves types are listed from longest to shortest wavelength? Which statement correctly compares Wave A and Wave B? 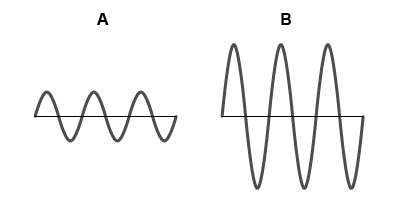 Wave A has a greater amplitude than Wave B. 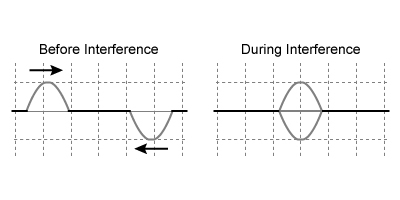 Wave B has a greater amplitude than Wave A. 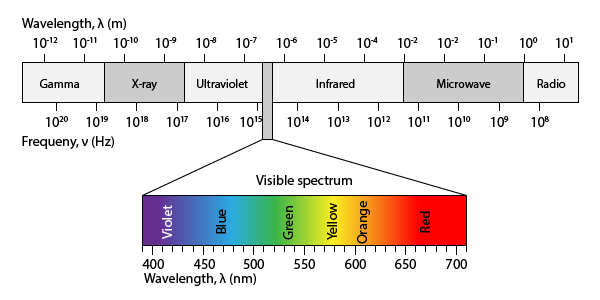 Wave A has a greater wavelength than Wave B. Wave B has a greater wavelength than Wave A. 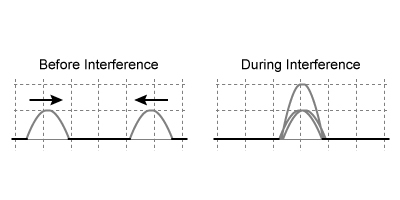 Which diagram depicts the waves interacting destructively? The measure of the amount of matter in an object is called . 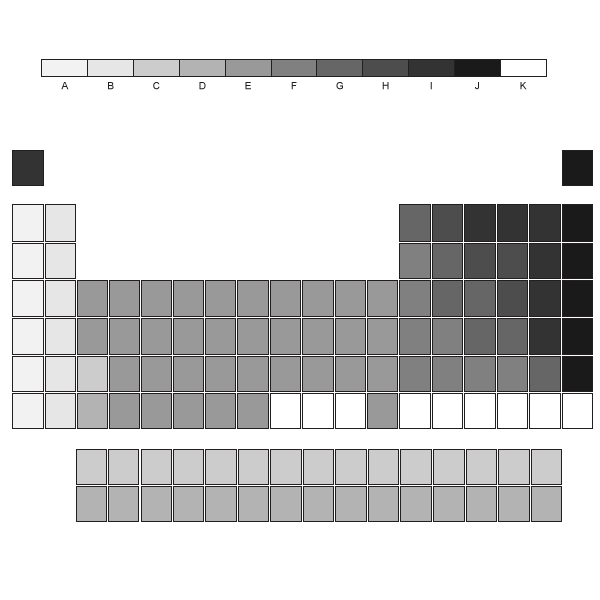 The atoms of elements in Group 17 of the periodic table are very reactive. Which of the following best describes the energy transfers that happen with the elements in this group? The more easily an atom loses an electron, the less energy the atom releases. The more easily an atom gains an electron, the less energy the atom releases. The more easily an atom loses an electron, the more energy the atom releases. The more easily an atom gains an electron, the more energy the atom releases. Which letter shows where noble gases are located on the Periodic Table? Aluminum is a metal found in the fourth column of the periodic table. What statement is true about aluminum and the other elements in that column? All the elements are nonreactive. All the elements are in the same period. All the elements have the same number of protons. All the elements have similar chemical properties. Look at the electron-dot diagram for magnesium. An atom of magnesium would be most likely to bond with an atom of which of the following elements? Which of the following best explains why the end of a spoon sticking out of a cup of hot water also gets hot like the end in the hot water? The hot water causes a chemical reaction to take place in the spoon. The heat from the hot water is conducted to the spoon handle. The hot water heats the air surrounding the upper part of the spoon. The hot water causes a physical change in the spoon handle. On a cold, winter day, Sheena rubs her hands together. Stored chemical energy is transformed into mechanical energy. Due to the Law of Conservation of Energy some of the energy is also transformed into energy. 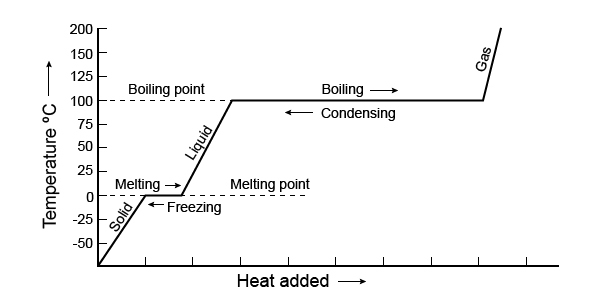 The temperature at which the substance is melting is the temperature at which the substance is freezing. Which of the following best explains the scenario below? On a summer morning, John walks barefoot across his paved driveway with no problem. However, later that afternoon he steps barefoot onto the same driveway and must quickly run off because the bottoms of his feet feel like they are burning. As the temperature increased during the day, the particles in the pavement moved slower and the thermal energy increased. As the temperature increased during the day, the particles in the pavement moved slower and the thermal energy decreased. As the temperature increased during the day, the particles in the pavement moved faster and the thermal energy increased. As the temperature increased during the day, the particles in the pavement moved faster and the thermal energy decreased. What is a good sign that a chemical change has occurred? Which of the following best describes the particles in matter? They are larger in solids than in liquids or gases. They are larger in gases than in solids or liquids. They do not move in solids. You are asked to combine all four substances in a beaker and observe how they separate. Which correctly lists the order in which the four liquids separate, starting with the one on top to the one on the bottom of the beaker?